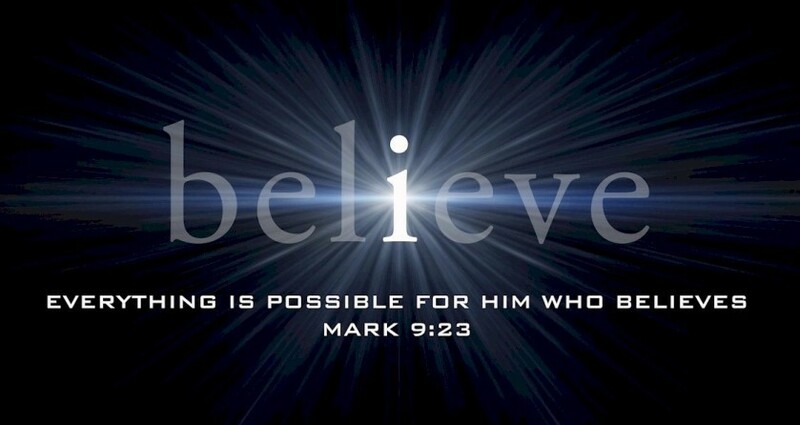 Believe, & You Will See The Glory Of God. This question is not only for Martha. It’s for everyone. Did God not prove in the previous years through his work that He is able to do things, if we believe Him? Did He not say through his scriptures that He is able? Then why do we doubt Him? Let this message open our eyes. Glory to God alone! There comes a point in everyone’s life, when one fails and gives up. A fifty year old successful man has to give up when he dies. Every expert doctor gives up after trying all their ways in vain. No one will take up the case of a dead person, because every case is closed after death. There is a proverb in Malayalam which says “why to look into the future of a dead child?” Death is a point where all flesh gives up. So our boasting is worthless, because even though we might have gained something, sooner or later we need to give them up. Death is a reality that no man wants to face. Death is the end for worldly men, but it is a new beginning for the one who believes in Christ Jesus. Death is the point where worldly men stop, but spiritual men start. Dead case is a gone case, and no one is able to interfere in a dead case. But when Jesus said to Martha “ Your brother will rise again”, He meant to say that even if no one else can handle a dead case, I am able. Your situation might be as worse as a dead case, but if you believe in Jesus, know this that ‘he is able’. Men cannot handle a dead case, but God can. Jesus came to the house of Martha and Mary with an answer. He did not come just to comfort them like other people. He came to raise Lazarus from the dead. One thing to be noticed in this chapter is that Mary and Martha called Jesus when their brother was sick, but stopped calling him when Lazarus was dead. This is what happens to us. We call upon God when we think that He can do something to change our situation, but as soon as we come to the point where everything seems to have ended, we give up and stop calling upon Him. Do not stop calling upon Him, even if you see that all ways are closed. God has yet another way to deal your case. Amen! While Jesus was coming towards Bethany, Martha met Him on the way. Martha: “Lord, if you had been here, my brother would not have died”. Martha believed that Jesus had the power to heal the sick and hold her brother from dying…That is faith, but in the next statement, we learn that Martha had not actually believed Jesus. In fact, she doubted Him. In my earlier days, I used to think that Martha had great faith when she said, “ even now I know that whatever you ask of God, God will give you.” But the Lord taught me something, which opened my eyes. She was actually saying, “Lord, if you had been here, my brother would not have died, but since you were not here, he is dead now. But because of this, I am not doubting you. I still believe that you can perform miracles and do great wonders.” Now , Jesus perceived her doubt and replied “Your brother will rise again” . Though Martha’s statement was of great faith, she doubted. She did not believe that Jesus could raise her dead brother to life then and there. Jesus: “Your brother will rise again”. Martha: “I know that he will rise again in the resurrection at the last day.” Now this statement proves that Martha did not believe that her brother would rise again. Martha used the phrase “I know”, twice in the conversation. She doubted because of the poor knowledge about Christ. She did not have the true knowledge about Christ. Yes ! A belief without knowledge is a doubt. One who knows the Lord will not doubt.. Are you a person who believes Jesus without knowing Him? Paul said, “I know whom I believe.” Do we know Him whom we believe? Martha knew that Jesus could heal the sick, but she did not know that the same Jesus could raise the dead. You cannot believe Him today with yesterday’s knowledge, because you face a new thing today. Knowledge about God must increase day by day. A software engineer updates his knowledge about the new features. He cannot survive in the job market with what he had learnt years back, because the market has introduced new features. Many of us believe God with yesterday’s knowledge. That’s why, we fumble and doubt. We must have both knowledge and belief. Knowledge without belief is null! Abraham not only believed God, but he also knew Him. On the other hand, Lot did not have either. How did their lives end ? Moses saw the invisible one in the bush and so he stood firm in front of every power. The sea gave way to the one who knew God. Here, Martha also believed Jesus with yesterday’s experience, but Jesus wanted to increase her knowledge about Him. So he told her “I am the resurrection and the life. He who believes in Me, though he may die, he shall live. And whoever lives and believes in Me shall never die”. The one who breathed life into our nostrils has the power to give life into dead nostrils. Jesus has the power to take life and give life because He is life. The family of Bethany knew that Jesus had dominion over sickness and sin, but they did not know that He has power over death also. Death is the ultimate thing that can happen to a person. But Jesus has dominion over death too. If death has no dominion over Christ, then there is nothing that can hold Christ Jesus…He is above all ! So the test in Martha and Mary’s life was to increase their knowledge about Him. So if our knowledge about Christ is not increasing in the test , then we have failed in the test. What is the real blessing? It is how much more we have known Christ today than yesterday! When Jesus approached the tomb, Martha again stopped him by saying “Lord by this time there is a stench, for he has been dead four days”. Some people seem to have more knowledge than Jesus. I believe that Lazarus did not stench, because his future was not going to eaten up by worms. He was going to live. Yes! Everything that devil says is a lie. Who told you that your future is going to be eaten up by worms??? Jesus gave Martha the assurance about raising Lazarus and tried to increase her knowledge. But still, she doubted by talking about the time past death. The one who can gives life was standing beside her. But Martha was seeing more of her situation than Christ Jesus….As I said earlier, our faith increases when the knowledge about God increases. Likewise, our faith remains stable, if our focus is stable on the author and finisher of our faith. Martha failed to have both …Though the Lord tried to open her blind eyes, she could not perceive. And then instead of focusing on Jesus, she was focusing on the stench case… ‘While all people were standing, Jesus said with a loud voice “Lazarus, come forth” and the dead man came out ….’ Life (Christ Jesus) called the dead because the life has dominion over dead! Has our knowledge about Christ increased from that in last year? If so, our faith has increased…The one who knows God will believe Him. Instead of looking into his situation, he will look unto Him, in whom he believes. Know Him first and believe! Don’t live with yesterdays knowledge…know Him more today! Let us abide in Him and bear fruits for him who grafted us to the true vine.